Imago Therapy Reviews. Happy Couples. Imago Therapy Reviews. Happy Couples. The following imago therapy reviews and marriage success stories will warm your heart. All of them are authentic and were sent to us, unsolicited, by clients and program participants. My only regret is that we don’t live in the same state! I feel that the investment of time and money was well worth it for us! I wanted to share how my story was/is effected by your awesome work. For me the first step was reading your book as I was preparing for our 30th wedding anniversary. The Power of Commitment touched me very deeply and opened my eyes not just to the impact it has on our marriage. I first realized on a personal level, how I needed to commit to myself, my own well-being, before I could commit to a marriage. Wow, after being with someone for 30 years, raising children together, this was HUGE! Without that first step to make a commitment to myself, I couldn’t commit to my spouse, even though I really wanted our marriage to work. Later, I talked my husband into signing up for Marriage School together. He reluctantly agreed, and we did the first few Modules together. At a certain point (asking for an appointment to dialogue) he quit and said it’s not working. I was quite upset at first, but then just continued on alone. I could apply the principles of Communication even without him formally agreeing to participate. Not in a manipulative way. Just naturally, asking for feedback (mirroring), asking if I / it made sense etc. A few months into this “invisible” (on his part) Marriage School practice, we are so close and so much more gentle with each other. I love sharing appreciations and acknowledgements and have naturally softened myself in the process. I don’t feel threatened anymore even when we disagree. I don’t panic even when he loses his centre and comes from the “Little Boy”..
You are right, I’ve been on the spiritual path form my adolescence and Desired Truth and Enlightenment, and nothing compared to the Practice Ground of Marriage to truly feel En-Lightened and Em-Powered.. when we have the right guidance and tools as well as Commitment, Patience and Willingness! Deep Gratitude for your work, may it resonate with many! Thank you so much for your book!!! It is the best book that I have ever read about marriage counseling. I finished reading the whole book within 2.5 hours I was not able to put it down. Every single page described me and my marriage and I can not thank you enough for putting it down so black and white! I have been married for 7 years and most of the time I disrespected my husband, blamed him mostly for everything, and saw myself superior to him. Yesterday, the camels back broke and I found myself hitting rock bottom. Yesterday night I think I had the first true conversation with my husband since before our marriage! Thank you again! Your book was very helpful to me. Last year it was (more specifically the Chapter on Commitment) part of a very powerful process leading up to our 30th wedding anniversary, resulting in an opening to myself on a very deep level I never knew was possible before. This opening consequently became a catalyst for a very healing journey for our marriage… still unfolding…I love the feeling I get when you send emails. Just seeing your names reminds me of the great shift in my experience, the Divine Gift you gave and I was able to receive. Thank you! With Respect and Appreciation. After going through your program, I feel like a completely different person. Although we have spent years in therapy, we were still on the verge of divorce. The skills we have learned with your imago therapy have helped us break the vicious cycle of conflict and we are actually able to enjoy each other’s company again. I pulled your program down from the shelf on the very day I got an e-mail from you. I put it up there many months before, thinking everything was, shall we say, hunky-dory. It was not. After much insistence and cajoling, my wife started to read the book. I have already finished reading it. Things have started to improve. Just the process of acknowledging and trying to improve our relationship is powerful stuff! If you’ve had it ‘up to here’ in your marriage, and feel like it’s a losing cause, we suggest you invest in Marriage Mastery. 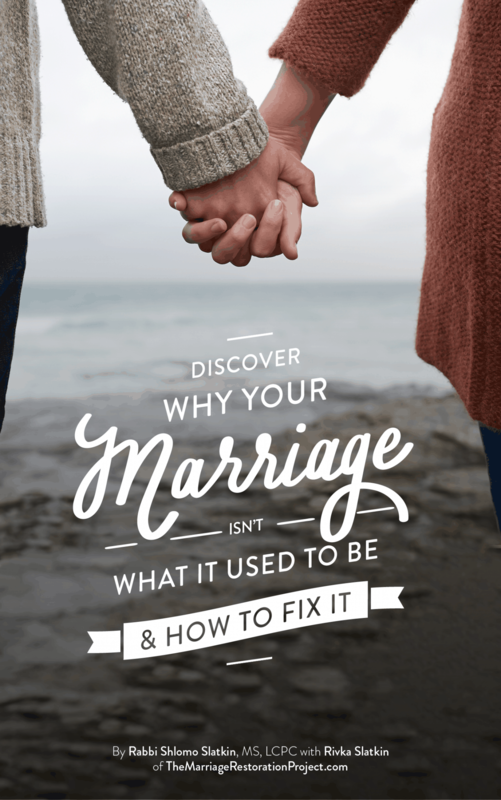 Through a series of thought-provoking questions, engaging audio, and over one hundred pages of text, you’re guided through five meaningful steps that help you re-evaluate the reason you married in the first place, and how to recommit your heart to your mate and marriage. Give this information your attention & effort, and you will be on the path to marriage restoration! This two days session of work helped me to understand and realize there is a way, a way to a new you. Where I can be happy again. Thank you Rabbi. I receive your weekly blogposts and read your recent post entitled “ How do you know when your marriage is over?”. You debunked common reasons that couples see as warranting divorce and boldly claim that even the worst marriage can be saved. I wanted to write you so that you can share with your readers our story because if any marriage was doomed to fail, it was surely ours. We came to see you almost a year ago for therapy. As you may remember we only came for one session and we were in bad shape. My husband did not want to continue and being that we he was unemployed and I was making a meager salary, we couldn’t afford weekly sessions. We did get your digital program though we didn’t touch it for months. The marriage got worse to the point where he through burning grease at my face. I thought it was over. Things only got worse from there. My husband was put in jail on false charges, I lost my job, and then I found myself sick for months. I discovered there was a sewage leak in my bedroom that was contributing to my condition. This was the turning point. When we first received the digital download, I downloaded your audio mp3s to my husband’s phone, hoping he would listen to them. I started to notice that our communication had changed. He had implemented some of the strategies you suggest on his own. We began connecting again. We stopped the constant bickering. For the first time in a long time, I had hope that our marriage could succeed. We are now expecting our first child any day now and couldn’t be happier. Thank you so much. Your program saved our marriage and we are eternally grateful. Please continue to let other couples know that if your program could help us, it could help anyone, as you would be hard pressed to find a marriage as bad as ours was. When we listened to your audios, we thought you were talking directly to us. Everything you said was so relevant to our situation. Thank you for the time we spent with you. It has made a huge difference in the way I look at people and how I want to treat people. Rabbi Yitzchak A. Breitowitz, Woodside Synagogue, Silver Spring, Maryland. “Rabbi Shlomo Slatkin’s approach to relationship therapy is truly revolutionary. His efforts to mend damaged relationships are widely recognized and are to be commended. The members of the Rabbinical Council of Victoria benefited greatly from their recent meeting with Rabbi Slatkin, who provided valuable tips on matters such as conflict resolution and relationship counselling. 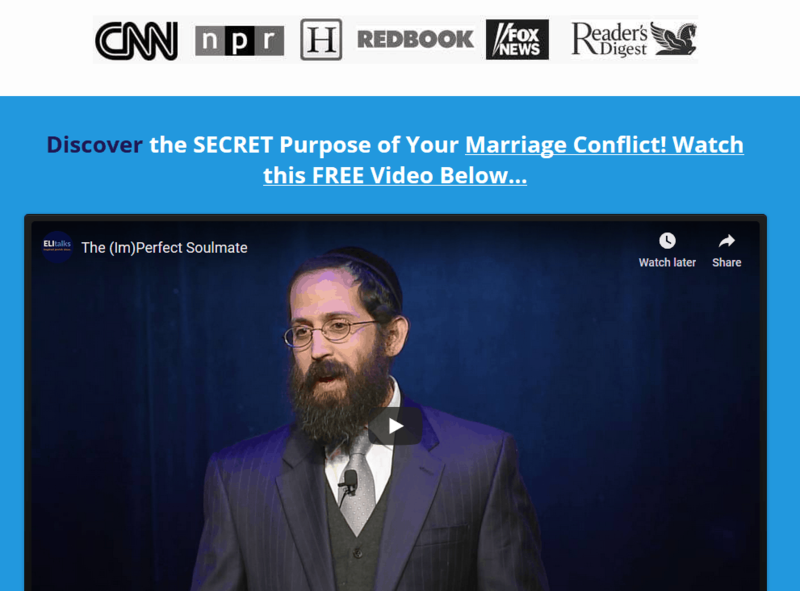 His groundbreaking approach to shalom bayis is helping couples the world over and I wish him ongoing success. I am writing to thank you for your very interesting presentations that I attended in Melbourne in Elul 5770. 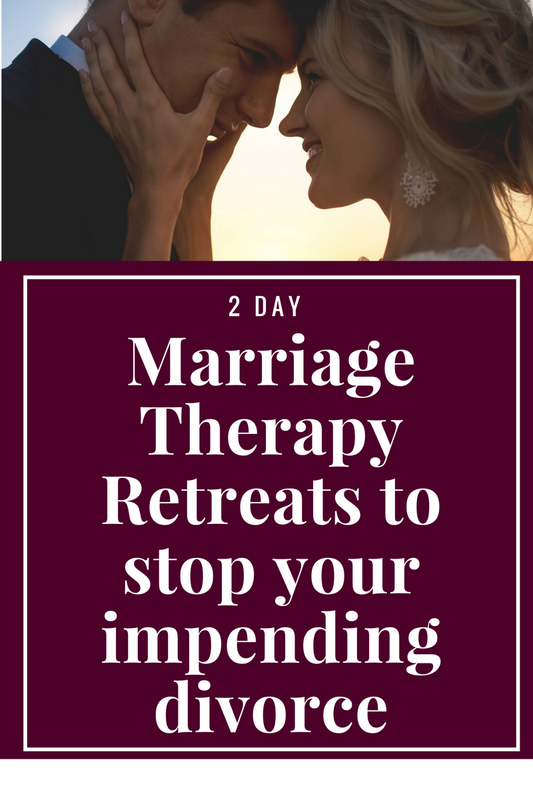 I heard you speak three times, and I found the Imago Relationship Therapy to be both consistant with Torah Hashkafa and extremely effective in helping couples work towards Shalom Bayis. The emphasis on Shmias B’Ozen: to hear what the other person is saying, to feel what they are feeling, and to understand what they are thinking invariably leads to changing ones actions. When I have spoken about Imago, people have been very impressed. I gave several very successful shiurim on Teshuvah using the Imago concept of trying to understand how the Borei Ha-Olam must “feel” (keva’yachol) when we don’t appreciate all that He does for us. The concept of subconsciously marrying a person who is a combination of your parents’ middos in order to facilitate a tikun on your own middos and self-esteem developed during your formative years to be fascinating and emesdik! Hashem yisbarach should�bensch you with further success in your important work, and I hope that many pulpit rabbis invite you to speak to their kehillahs so that they and their mispallelim will be inspired and will benefit from the Imago Relationships Therapy. “Rabbi Slatkin’s knowledge of Torah coupled with the Imago therapy dialogue method have made his presentation very palatable to Jewish audiences around the world as he shows how the dialogue process fits completely into Jewish Ideology. He has now given me the tools to learn how to listen and reflect back in a way that makes the other person feel heard and respected without any judgments. This automatically lifts your relationship and feeling of connectedness to a much higher level. Rabbi Slatkin introduced us to an innovative method for effective communication. The real life scenarios that he role-played had us laughing out loud! His presentation was interactive, practical, and laced with good humor. Highly recommended! We asked Rabbi Shlomo Slatkin to come out to Charlotte, NC and do a couples Imago therapy workshop for our community. We had ten couples attend this workshop and it was a great success. We all knew each other, which was very nice because we were all able to enjoy each other and connect on a deeper level. Rabbi Slatkin’s presentation on Imago therapy was very informative and inspiring. Each couple was able to practice several different techniques that the Rabbi introduced. I particularly enjoyed the part when one couple was asked to volunteer to do a sample therapy session. It was so intriguing! My husband and I learned a lot about Imago and communication in general. We continued to use the Imago techniques after the workshop. G-d willing, we will bring Rabbi Shlomo Slatkin back to Charlotte for round 2! “The most meaningful part of this presentation was discovering a safe way to talk about issues in “our world”. 32 years in it’s like our honeymoon again! The Marriage Restoration Project has helped me to renew and restore and revive our marriage. After 32 years, and 5 kids, we were not used to being alone. The easy 5 step program helped us open communication and reconnect with each other. Now we are using the 5 steps to help the next generation heal and help their marriages. Thank u! U really nailed it! It’s amazing to c how u summarized it in five steps. Turns out major relationship improvement is possible! This user-friendly program shows you how. The videos are professional and inspiring. I was impressed with the way they demonstrated how to turn frustration, blame, and criticism into opportunities for closer connection, better mutual understanding, compassion, and growth as a couple. When I practiced offering appreciation statements, I realized just how valuable and healing this is when done right, and how easy it is to compliment one’s spouse yet miss the mark! Over 20 years of marriage where you think that’s just the way the person I married is. The marriage project gave us insight on how to make each one of us a better spouse. Encourages introspection and taking personal responsibility while offering hope and practical tools to apply to your own marriage. Insightful and helpful – read it now – there’s nothing to lose and everything to gain. The Marriage Restoration Project is an amazing idea and is brought to us by two amazing people. It seems as if Rabbi Slatkin has really nailed the understanding of how a marriage could and should work and how essential it is to work hard in marriage to make it great. The Marriage Restoration Project is thorough, concise, and clear. I would recommend that anyone who is looking to get married should HIGHLY consider Rabbi Slatkin’s course! I enjoyed the information that was presented to me. It was full of a vast amount of knowledge, eye-opening, and simple for anyone to understand. I would recommend this resource to anyone needing assistance in improving, enhancing, or restoring his or her marriage. Thanks. Hello, first want to say how happy I am that I found your site, system and book. I purchased a digital copy of The Marriage Restoration Project on amazon the moment I finished reading the first two chapters. I stayed up all night that first night reading from it, I reread the first two chapters. The reason I stayed up that while night wasn’t just because of the book, I got the book for the same reason I was up that night. I’d been unable to sleep for almost two months until I would pass out after a few nights, only getting 4 hours every other night. That reason was me, well mostly me, and my difficulty understanding my feelings and expressing them openly in spoken words, it had become a crippling fear of mine in regards to my wife. My wife is the greatest wife I could have hoped for, sent from God to save me, and when we got together 12 years ago almost to the day. She is going for her bachelor’s then doctorate right now, and as you can guess, that takes so much time, almost all of her time. We have a 3 and 7 year old boys. Our schedules are opposite for the kids sake and two wonderful grandmothers who help when we have over laps, my wife really only gets two days with the kids and up to 8 or 10 hours a week with me. after breakfast before she left, I told her in the clearest, calmest way ever about my feelings and what I needed to do and what she could do to help, this is still my problem with me only I can fix. The relief I felt from telling her why I had such pain was so wonderful I want to cry about my joy and excitement for our future, rather than just pleading prayers to God, which kept me here in every way of course. But G-d led me to you, when I truly needed it more than I ever imagined I would. I apologize if I’ve rambled, repeated, or jumped the ideas around. I’m certain you understand what such excitement and relief can do. I told her about your program, and even without her if it is, I would like to start it. Thank you Rabbi Shlomo Slatkin, I have purchased and read over and over other books for years trying to fix me, but nothing work more than thoughts to think. Just two chapters was enough to give me the courage to face my greatest fear like a true warrior of God, which was how my grandmother always taught me. With greatest thanks and wishes and joyful hopes to hear from you again. This program is such an amazing resource and I am honored to support your work. Thank you for all you are doing to make a difference! Thank you very much Rabbi! practice each and every one of your advice and exercises. morning. I look forward to the journey. Disclaimer- Individual results will vary in all of our programs and services. Our marriage work with you is going to always depend on your level of commitment and the amount of work that you put into following our program. That is why we provide this disclaimer on our website so that you understand that your level of results may differ from one couple to the next!